Fluff, Yeah! 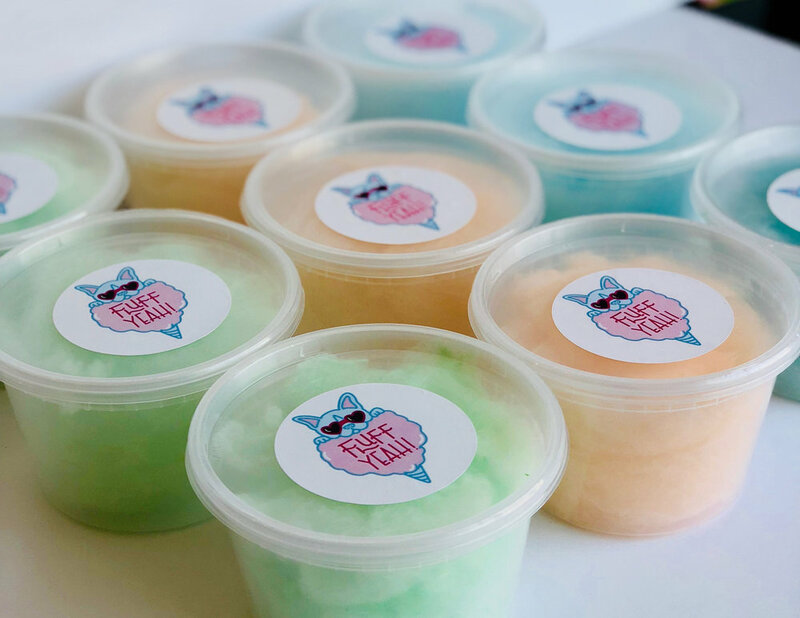 is a cotton candy company based in Phoenix, AZ that's doing big things in the sweet treat industry. With an offering that spans hundreds of flavors and vibrant colors, I knew that collaborating with this brand would be a blast. I was asked to create a logo mark, a title treatment, and a few other graphic brand elements that could be used across packaging materials, promotional collateral, and stickers. Because of the playful nature of the brand and their mission to spread sweetness to people all over, I was able to let my true creative style really flow on this project!